This is a very special tasting aboard the good ship Irene, with ‘Captain’ Tom MacArthur of The Single Cask Ltd. The single cask is a relative newcomer to the world of independent bottlers – they offer the chance to produce rare and unusual single malts when the bottler feels they are ready. It's these unique whiskies, including a special whisky created for the festival, that we'll be tasting. Tom is a great guy, very knowledgeable and with no airs and graces. We are confident he will do us – and you – proud! The Irene is one of the last remaining wooden sailing ketches in the world. She is over 100 years old, a sight to behold and has a fascinating story herself, which the ship’s crew can tell you all about onboard. 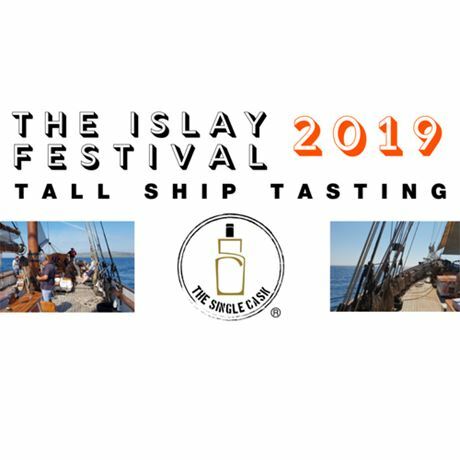 This is a fantastic opportunity to look around this historic boat whilst tasting some very good whiskies. What more could you possibly want? We’ll be boarding the Irene at Port Ellen Pier at 10.45am sharp. You won’t need your sea legs for this one as we'll be safely moored at the Port Ellen Ferry pier, but you may want waterproofs (if it rains) and grippy shoes for the deck! Please note that all Tall Ship Tastings are weather and tide dependent.